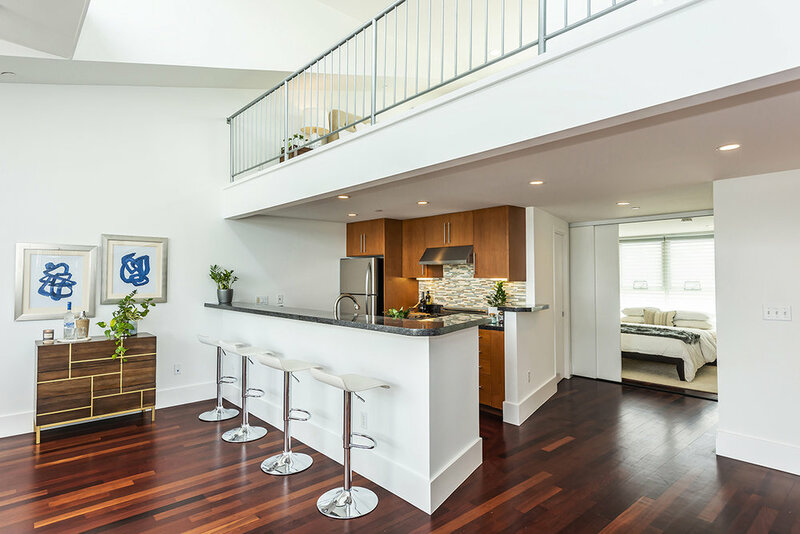 Flooded with natural light, this modern Mission Loft condominium offers luxury Penthouse living experience with outdoor space and views in the heart of the vibrant Mission district. 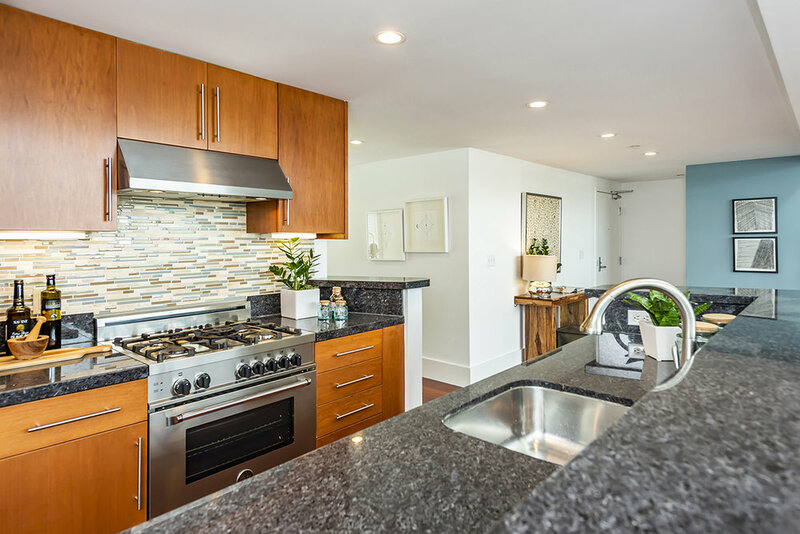 Renovated kitchen fitted with gas Bertazzoni stove, Bosch dishwasher opens into large living room complimented with soaring ceilings and outdoor patio with City views. 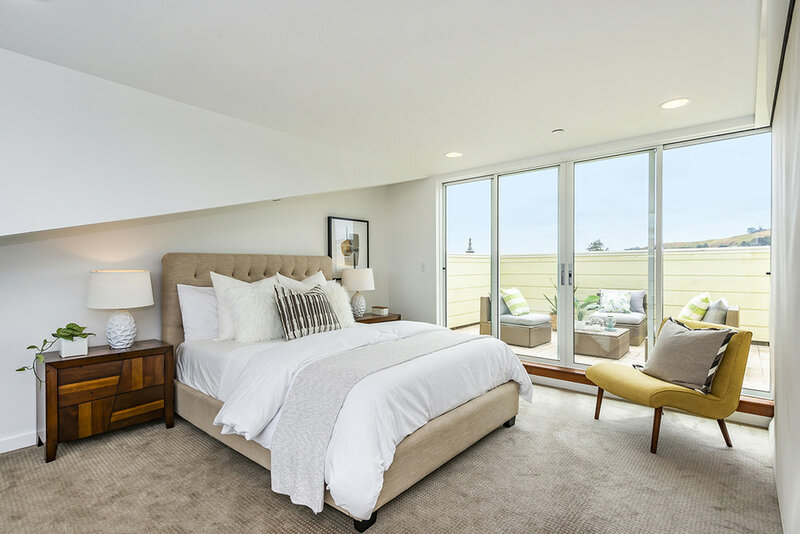 2 bedrooms include Southern-oriented master suite that enjoys a walk-out outdoor patio and offers views of the Bernal heights and Downtown. 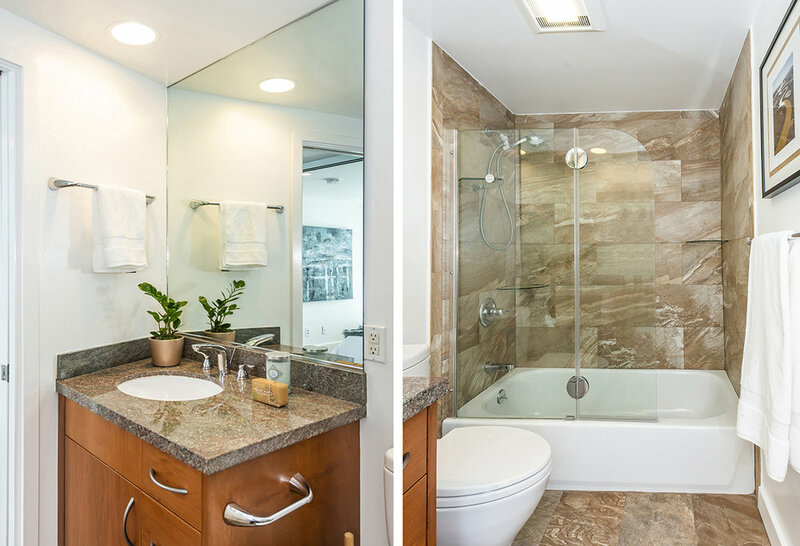 Both bathrooms have recently been updated with modern fixtures and finishes. The home is complete with upgraded windows, in-unit Washer and Dryer, and interior garage with one car parking with electric car charger. 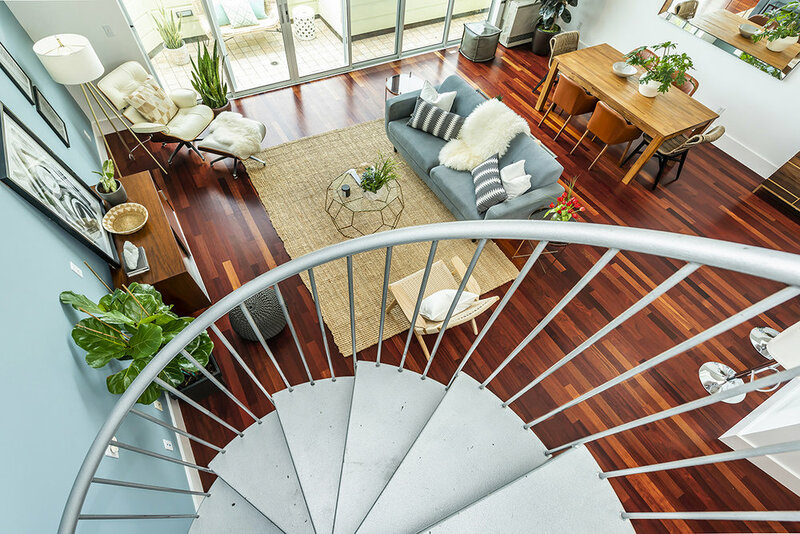 Walk, don’t drive to everything this hot location has to offer — this boutique building is located on a tree-lined street with impressive 99 Walk and Bike scores. 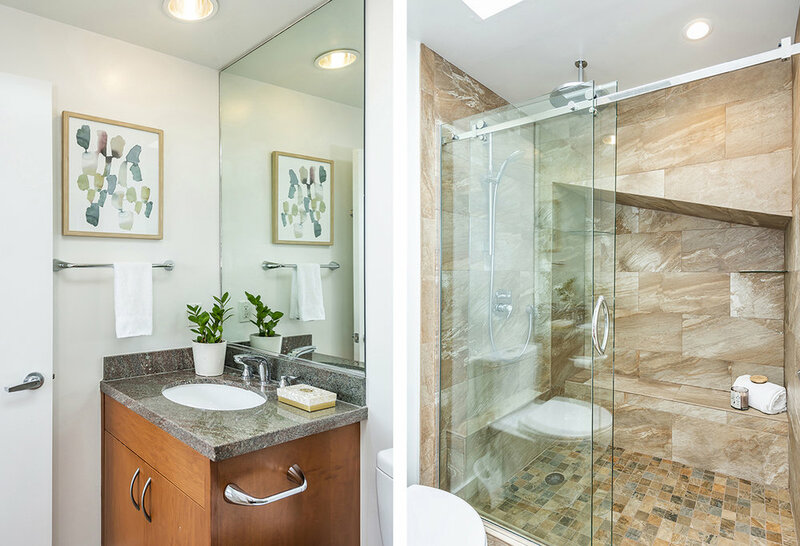 Situated on a tree-lined street in heart of the vibrant Mission district - walk to everything! Located in east-central San Francisco, the Mission district is bordered to the east by highway 101. Sanchez Street separates the neighborhood from Eureka Valley to the north west and Noe Valley to the south west. The principal thoroughfare of the Mission District is Mission Street. The Mission is often warmer and sunnier than other parts of San Francisco as the Mission's geographical location insulates it from the fog and wind from the west. The area is known as a center for high tech startup businesses and chic bars and restaurants. It also offers a close proximity to the popularDolores Park. Two prominent corridors are Valencia Street (from about 15th to 22nd) and the 24th Street corridor — both are very popular and influential destinations for their famous restaurants, bars, galleries and street life. 99 Walk Score. Walker's Paradise - Daily errands do not require a car. 99 Transit Score. Biker’s Paradise - Flat as a pancake, excellent bike lanes. Thank you for contacting us regarding your interest in the loft at 3365 20th Street #8. We will be in touch with you shortly. If you need an immediate assistance, please call Alek at (415) 385-5595.